The first Hydro International issue of 2018 focusses on Oceanology International, which is why we decided to include a varied series of articles in this edition. This issue aims to reflect what the hydrographic and marine surveying industry encompasses, as will the next editions. From the search of lost aircrafts on the bottom of the ocean and the exciting developments concerning fully autonomous hydrographic surveying, and shallow-water bathymetry to the massive efforts that will need to be made before we can map the bottom of all the oceans on our planet. For many years, the GeoSwath system from Kongsberg GeoAcoustics has been providing an efficient simultaneous swath bathymetry and side-scan seabed mapping solution with accuracies that meet the IHO S-44 Special Order standard for hydrographic surveys. 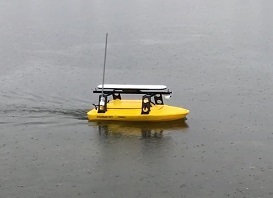 GeoSwath systems have been fitted to a number of small crafts and have been utilised to conduct bathymetric surveys of lakes, ponds, dams and rivers. This article describes two of the vessels that have been employed to undertake this area of work. 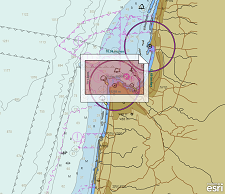 The Israeli Navy Hydrographic Branch (INHB) is transforming itself into a 21st century organisation. Moving away from traditional methods of generating hydrographic products, INHB have adopted geographic information system (GIS) technology. 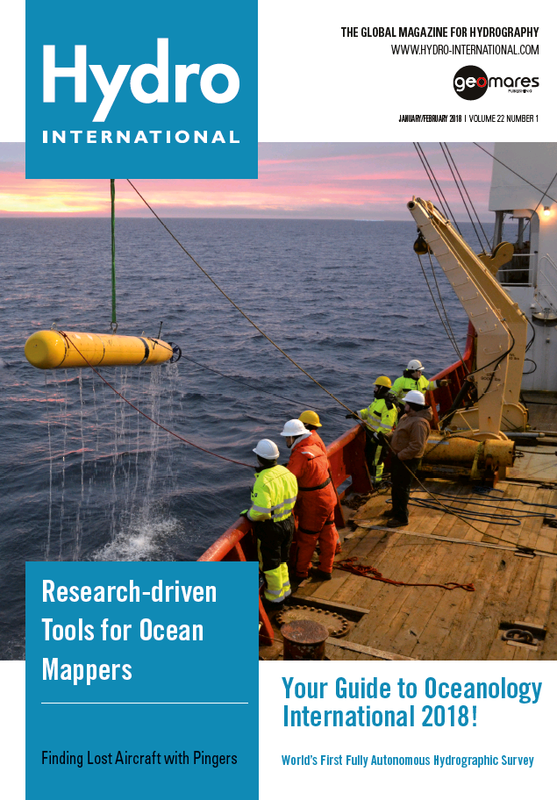 This forms part of the evolution towards a full modern Marine Spatial Data Infrastructure (MSDI). 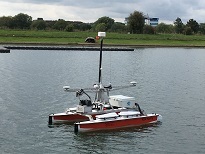 During September 2017, a fully autonomous hydrographic survey was performed. 'Autonomous' means not by remote control, but rather that the autonomous surface vehicle (ASV) used guidance from survey software to run pre-planned survey lines or automatically generated lines based on sonar coverage, with human interaction possible but not required. In a world where artificial intelligence plays a key role in our everyday life, it is disappointing when the everyday routines of an ocean mapper or cartographer involve solutions that are crudely manual, repetitive and error prone. Although the root causes of this situation might be debatable (e.g., constraints from abstruse formats, obscure algorithms, obsolete specifications, or a combination) the advantages to the ocean mapping community catching up with current-era technologies and moving towards smarter and more automated solutions are not.